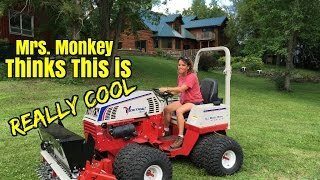 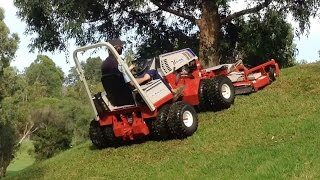 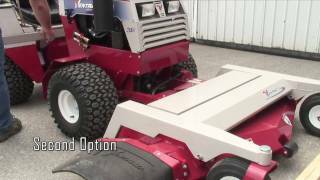 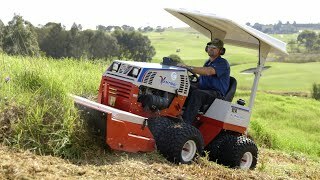 Ventrac compact utility tractors provide a safer and more effective solution to slope mowing in addition to versatility and ease of use. 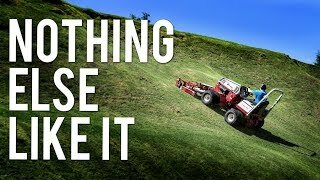 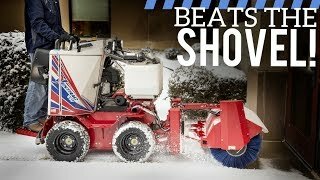 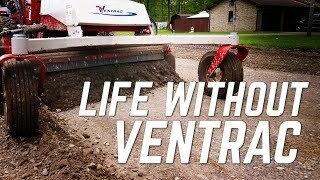 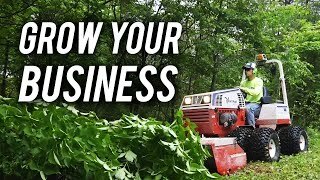 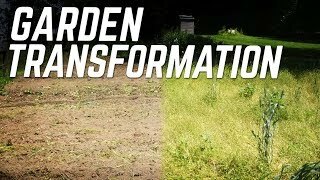 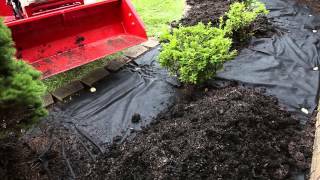 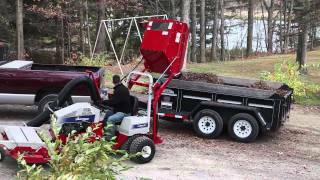 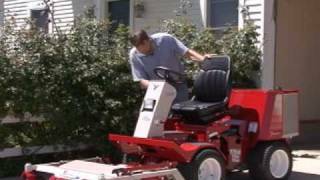 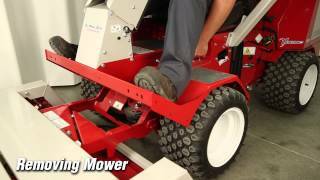 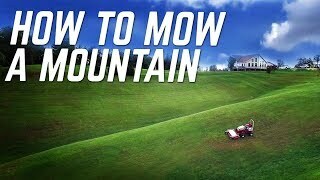 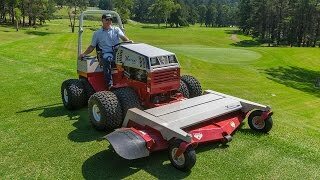 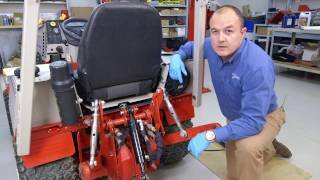 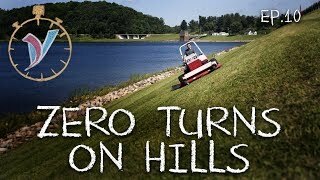 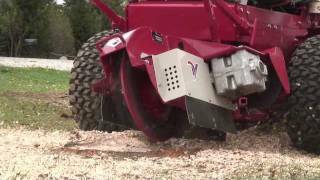 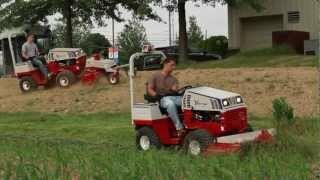 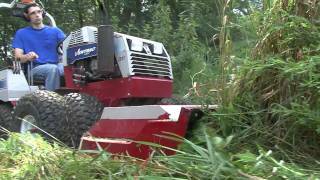 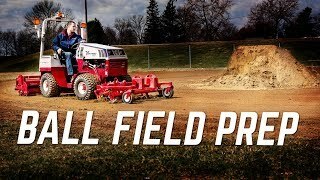 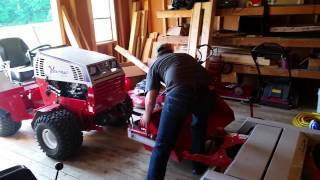 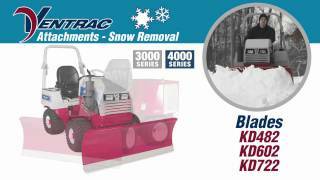 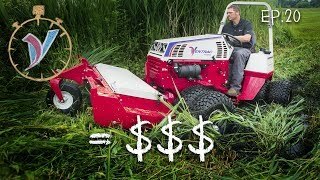 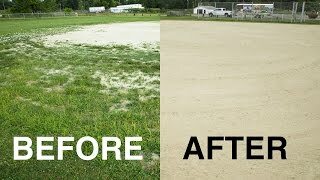 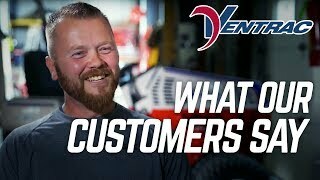 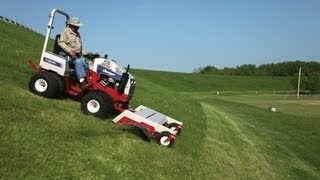 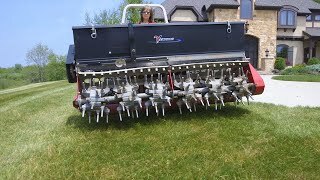 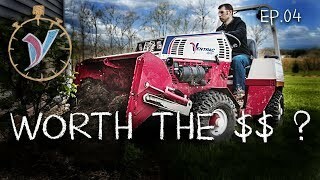 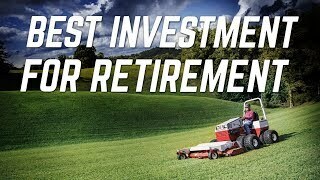 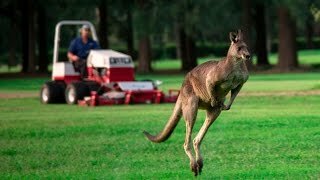 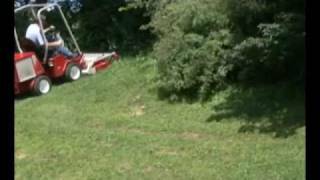 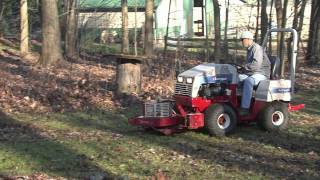 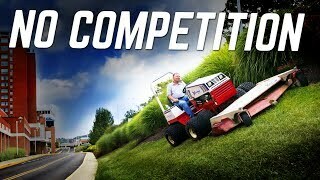 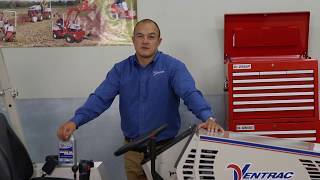 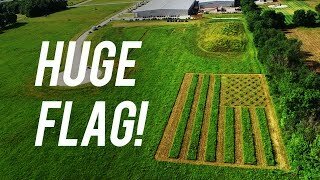 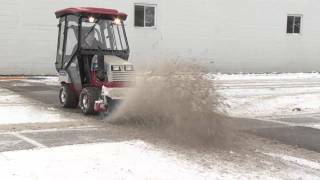 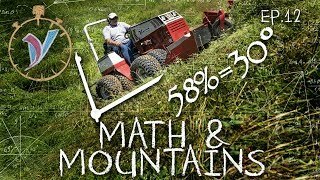 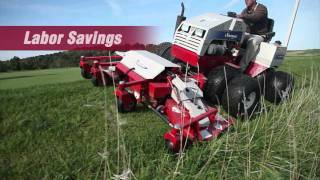 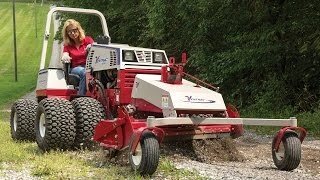 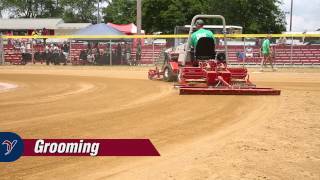 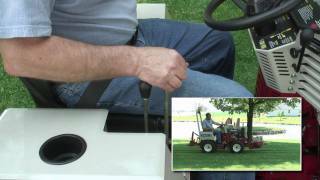 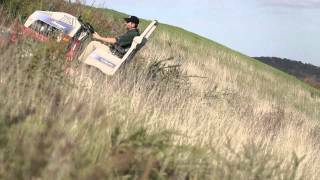 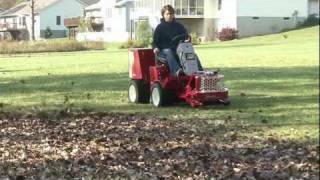 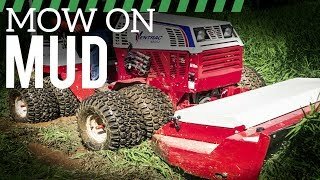 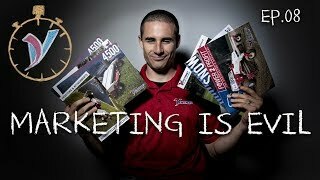 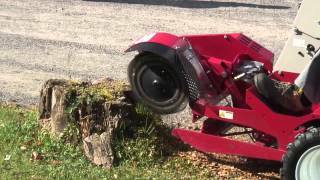 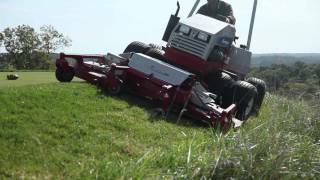 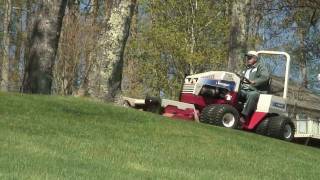 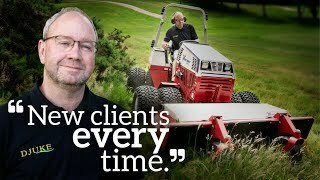 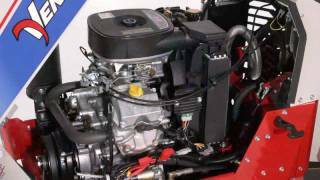 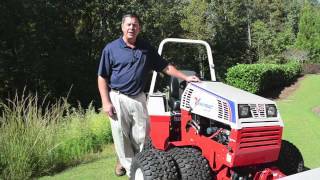 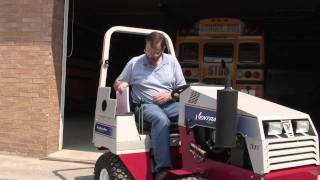 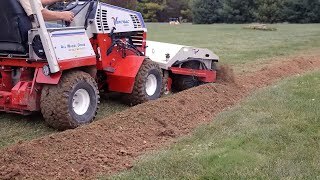 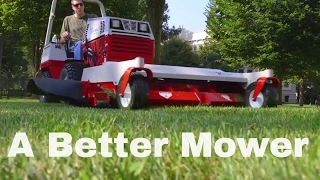 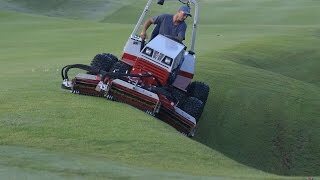 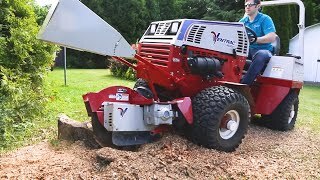 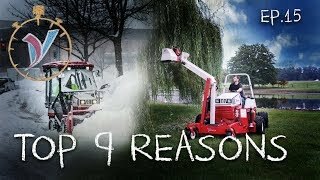 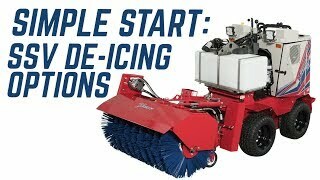 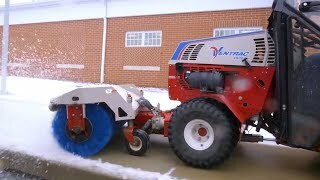 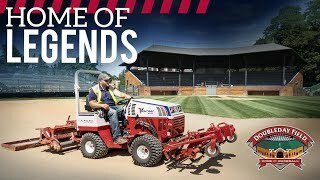 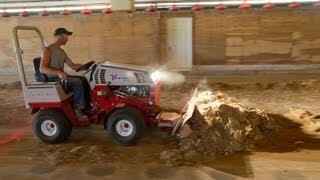 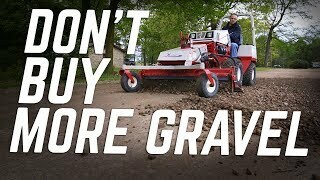 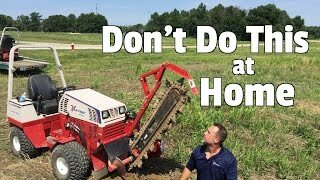 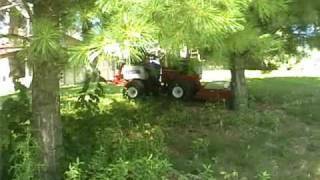 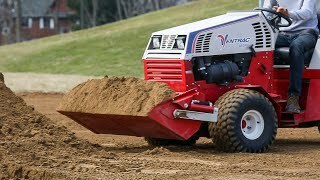 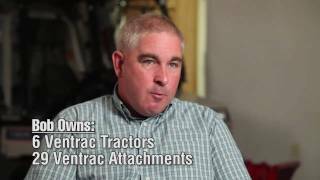 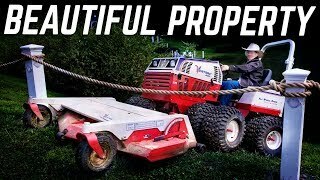 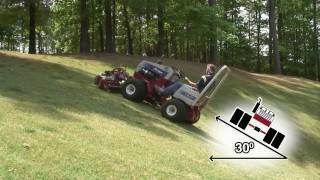 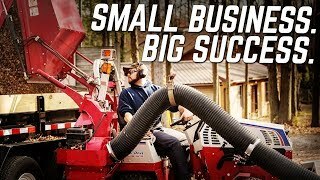 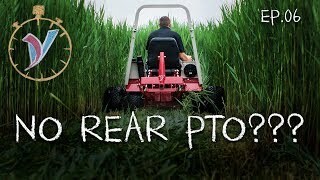 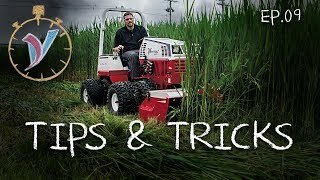 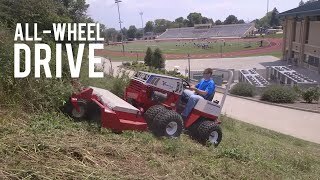 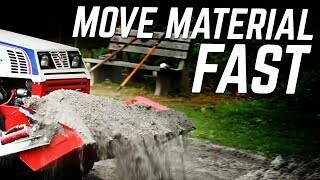 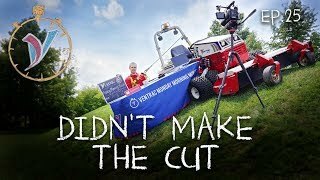 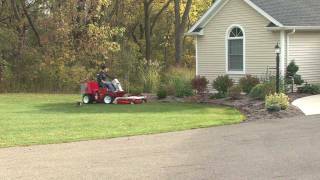 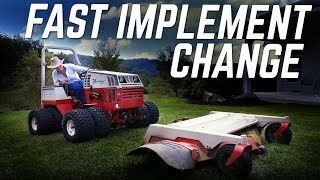 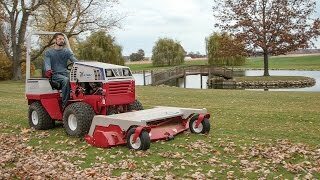 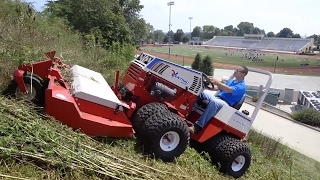 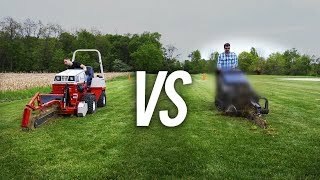 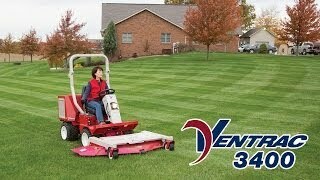 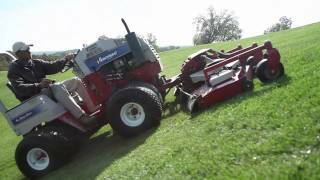 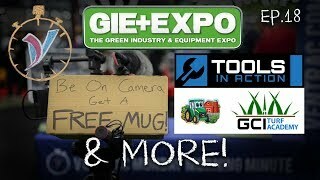 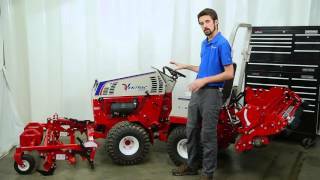 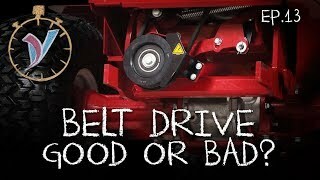 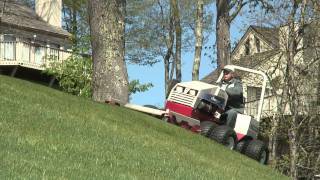 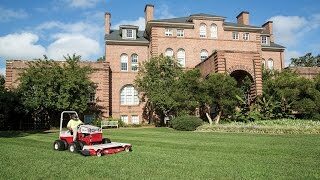 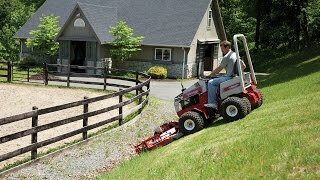 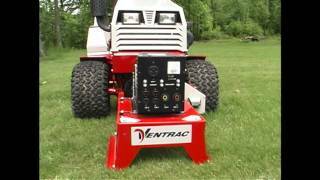 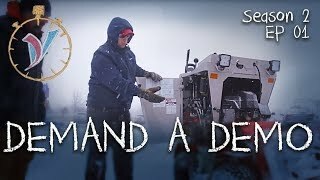 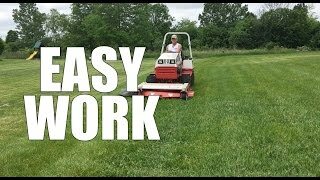 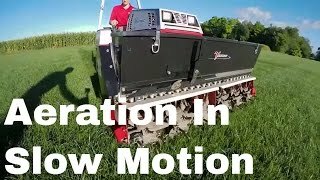 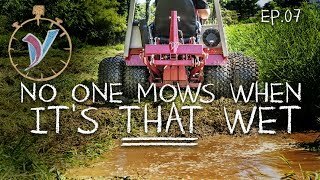 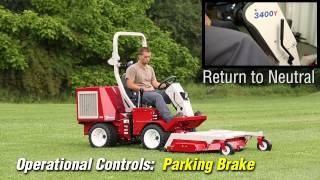 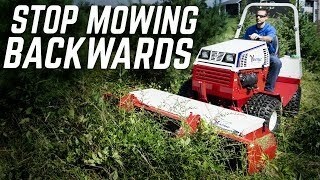 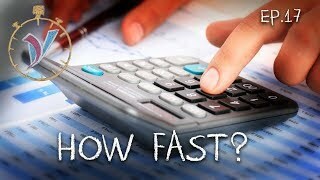 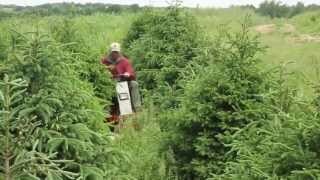 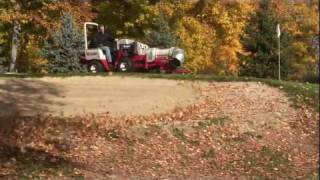 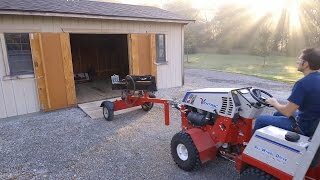 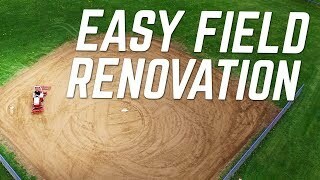 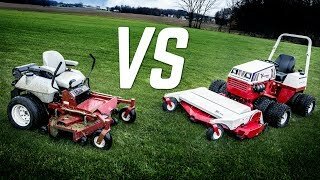 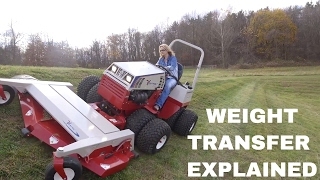 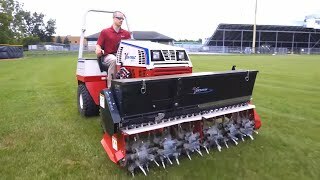 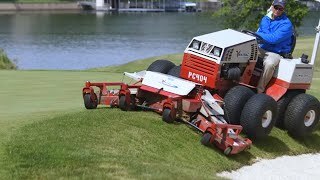 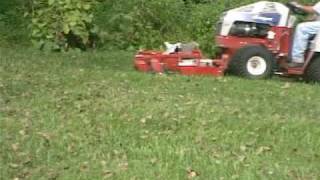 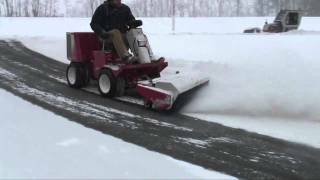 So what makes Ventrac a great slope mower? 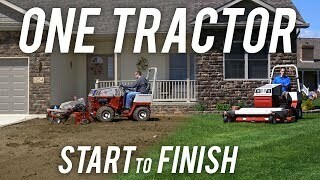 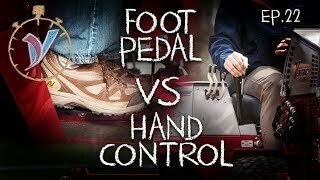 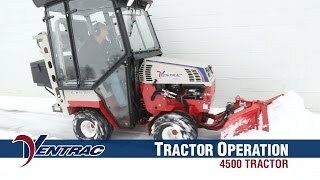 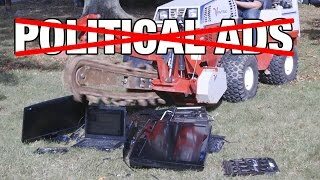 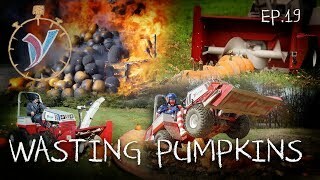 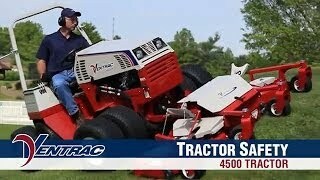 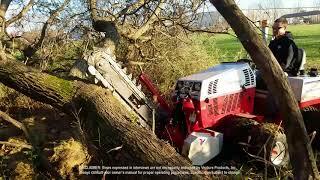 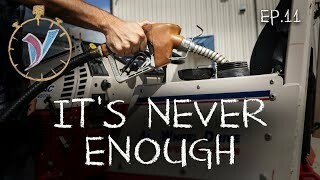 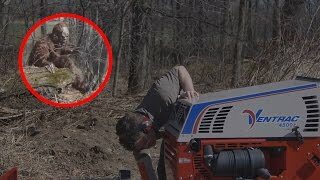 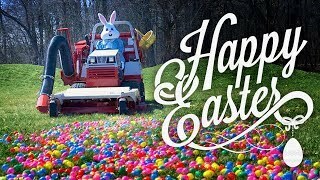 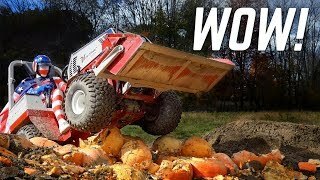 The answer to that begins with the fact that Ventrac tractors are not like conventional tractors. 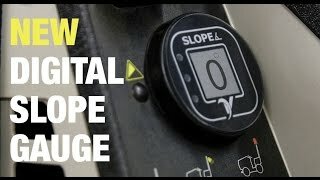 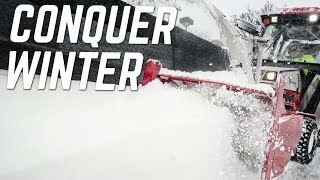 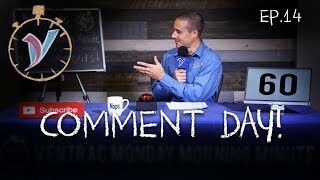 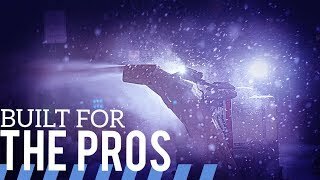 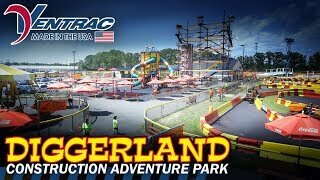 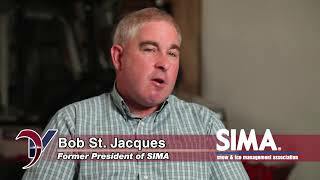 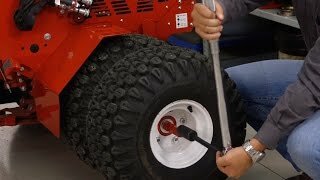 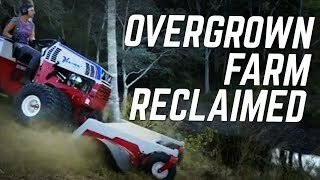 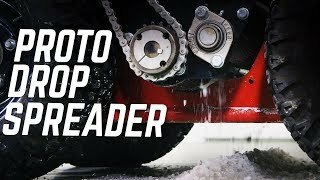 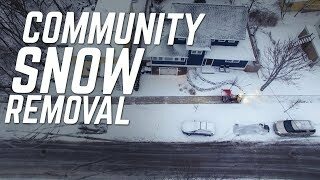 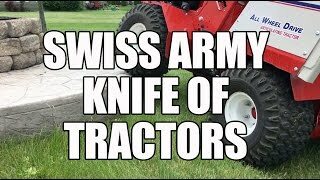 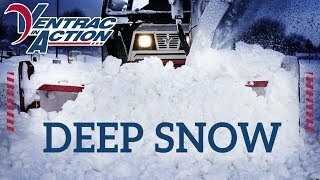 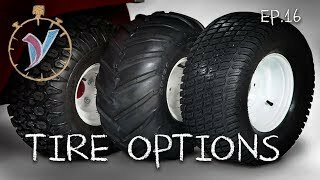 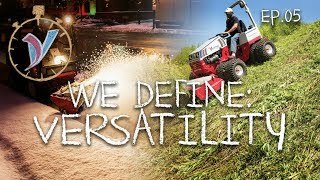 They are uniquely and specifically designed from the ground up to perform consistently in a variety of conditions and terrains. 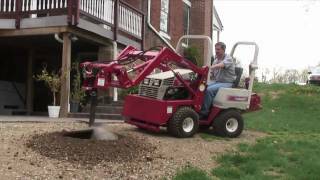 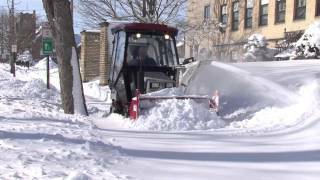 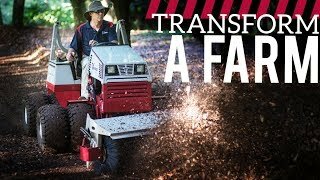 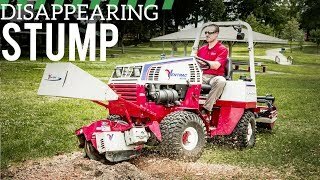 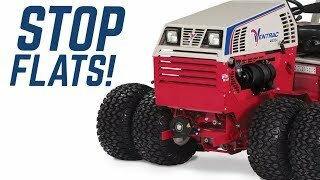 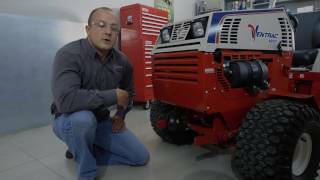 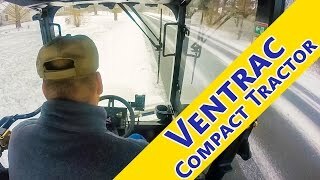 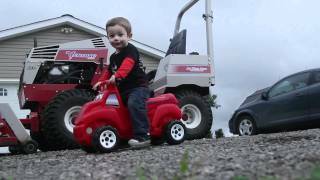 The Ventrac compact utility tractors have a low center of gravity which adds to overall stability on hills. 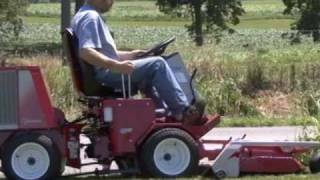 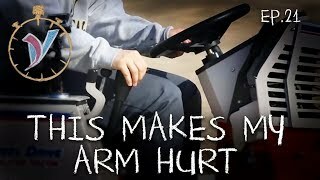 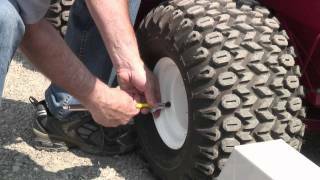 They also feature center articulated steering and an oscillating frame which helps provide improved maneuverability and greater ground contact over uneven terrain. 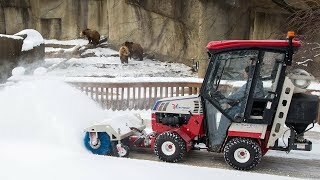 The power of all-wheel drive allows the Ventrac to operate on a multitude of terrains with minimal damage to the turf even on slopes. 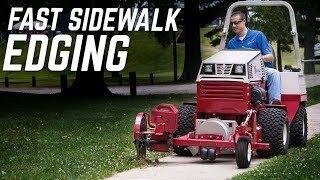 Steering and movement are hydrostatically controlled for easier and more precise operation including the ability to effectively brake downhill to a stop and even reverse back uphill. 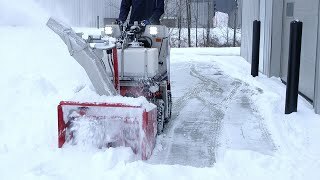 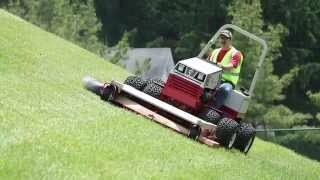 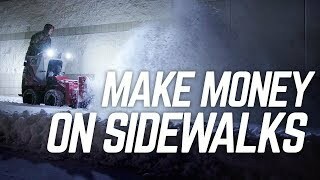 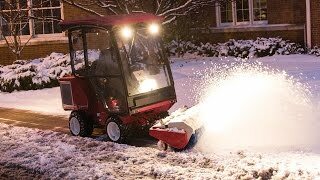 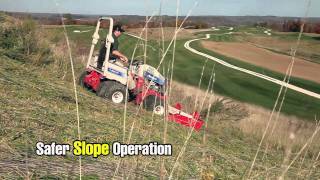 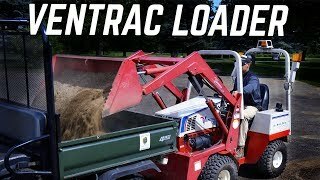 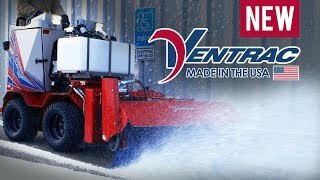 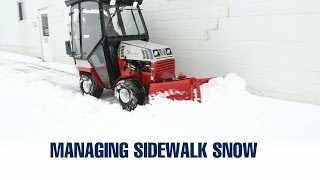 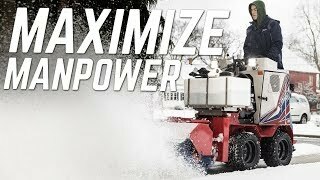 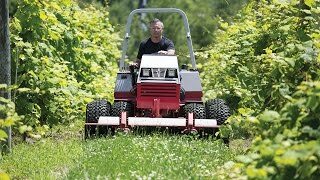 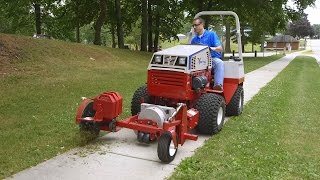 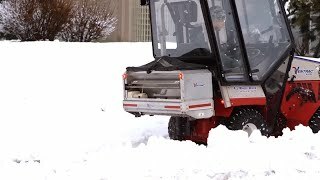 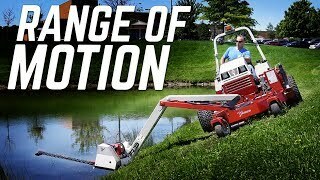 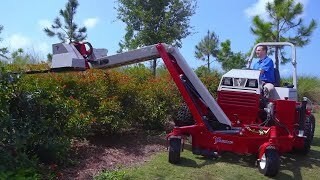 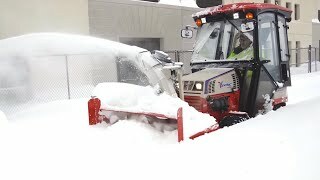 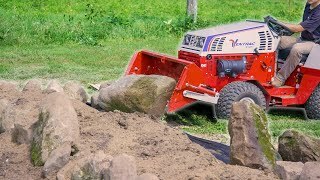 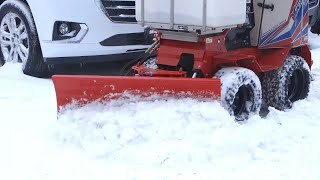 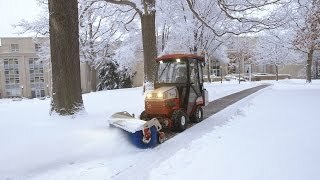 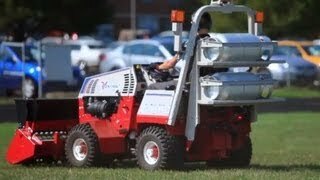 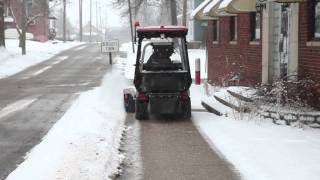 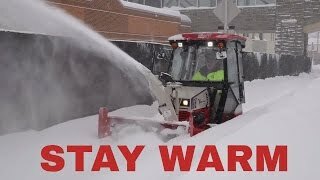 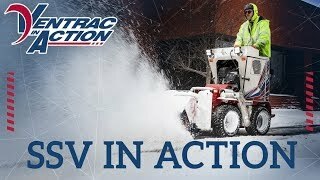 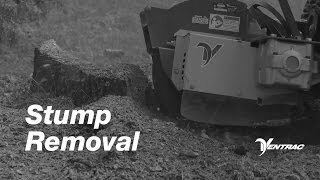 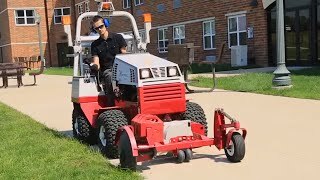 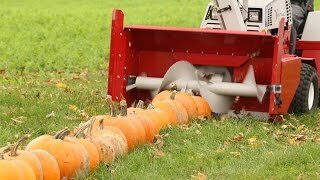 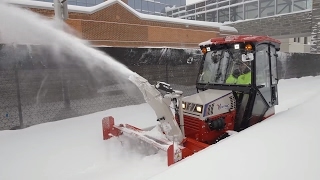 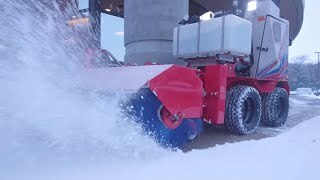 The Ventrac 4500 is rated to handle slopes of 20 degrees because of these innovative standard features which makes Ventrac a safer and more reliable slope solution. 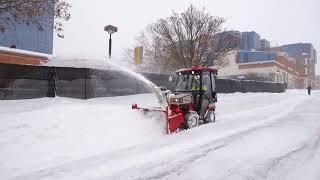 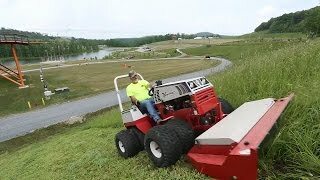 It can be fitted with wheel extensions for a wider wheelbase allowing for operation on slopes of 25 degrees and can be fitted with dual wheels all around for an impressive 30 degree slope operation. 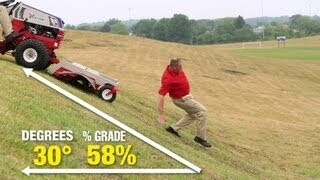 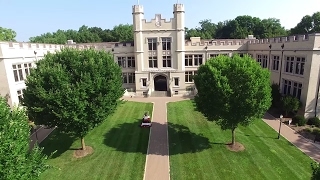 Thatâ€™s the ability to perform on a 58% grade! 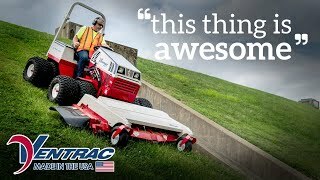 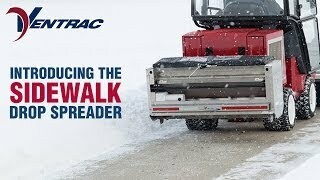 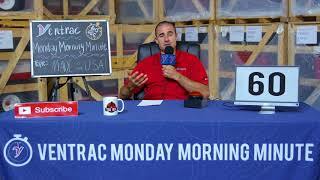 Ventrac has an optional slope gauge that not only displays but alerts you when you are in unsafe conditions. 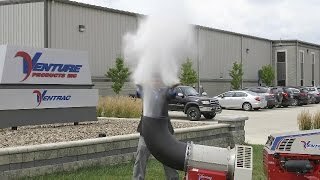 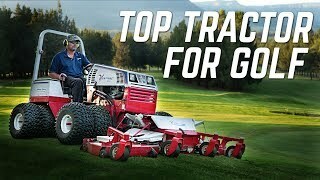 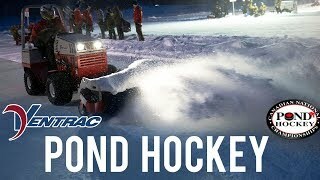 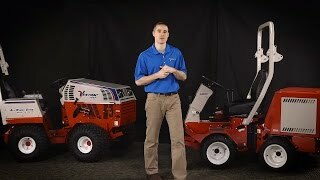 To learn more about Ventrac's heavy duty and quality design, go to www.ventrac.com. 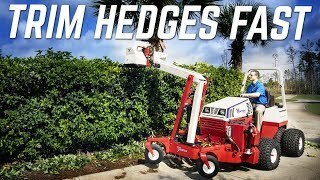 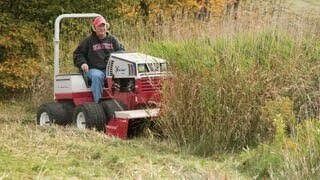 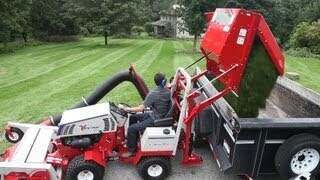 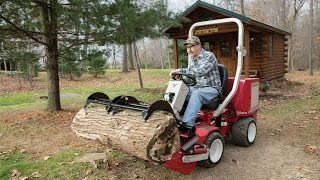 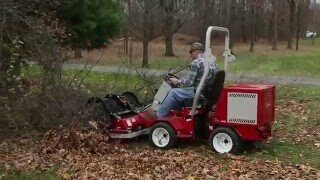 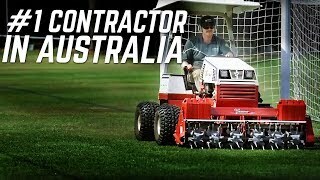 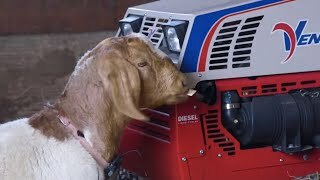 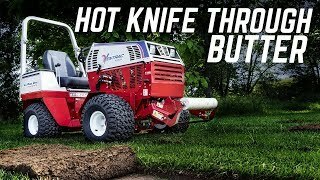 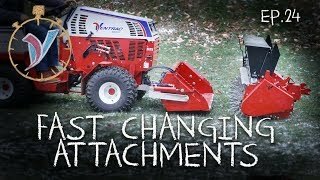 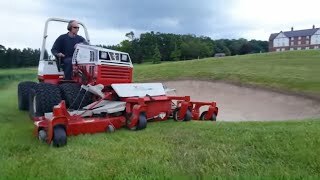 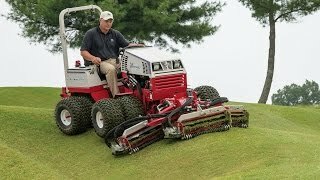 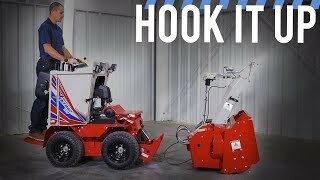 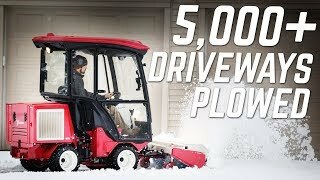 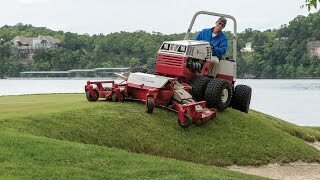 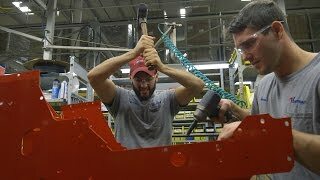 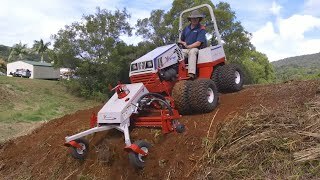 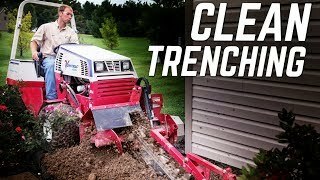 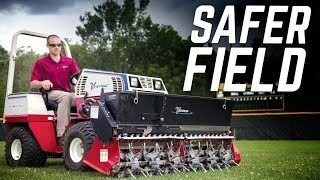 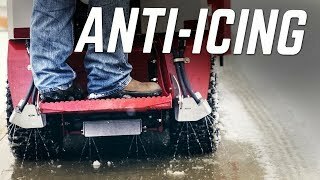 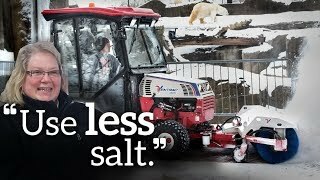 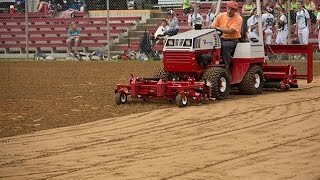 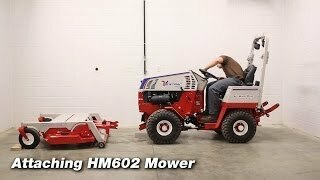 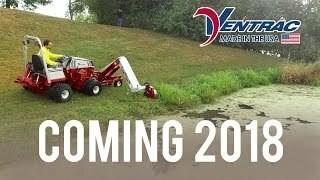 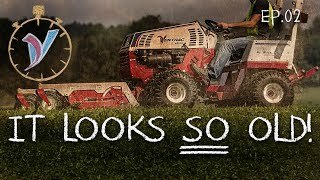 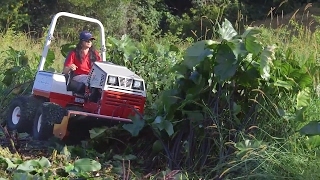 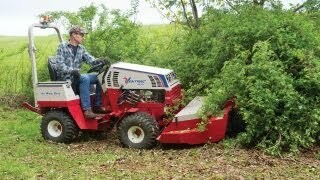 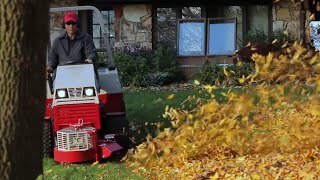 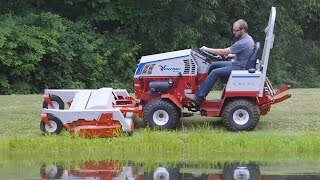 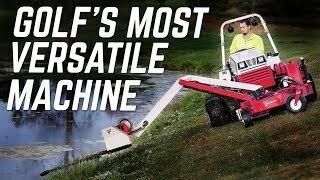 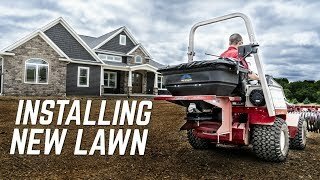 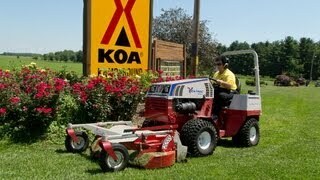 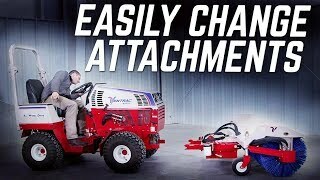 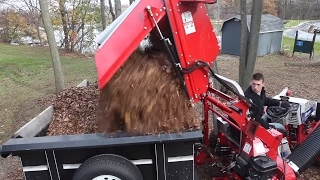 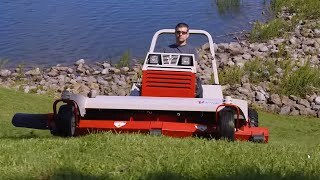 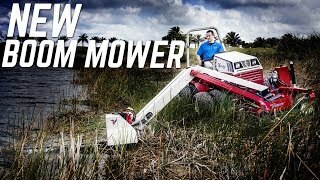 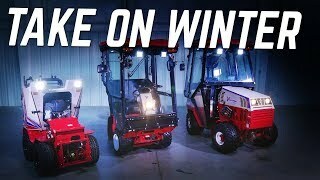 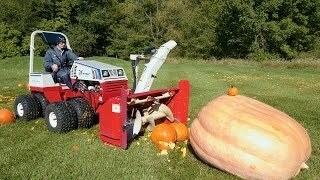 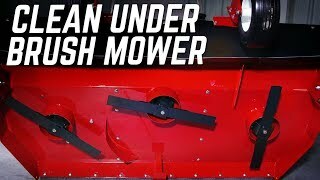 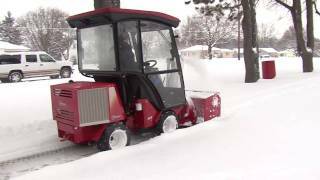 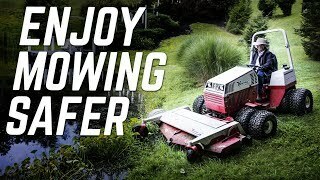 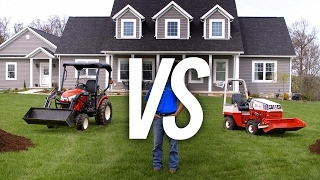 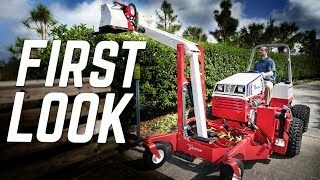 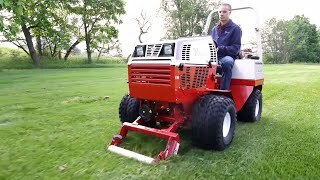 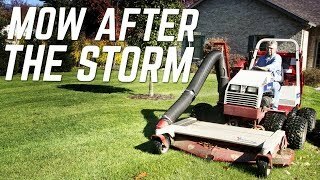 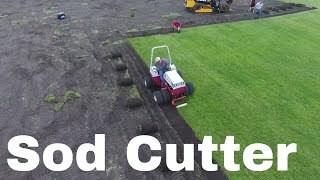 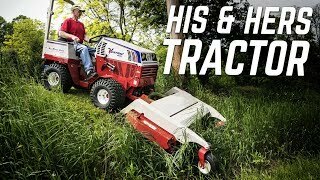 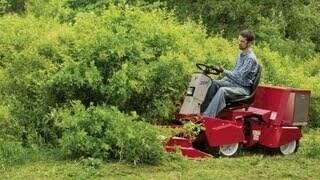 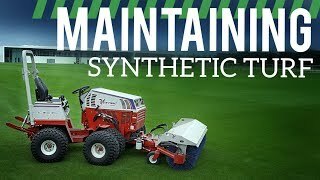 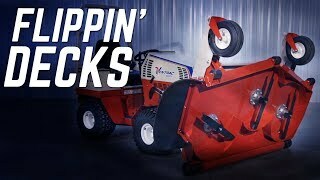 Also check out the Tough Cut, https://www.ventrac.com/products/attachments/hq680 to learn about this rugged mower.